LOS ANGELES, Calif. /California Newswire/ — On Monday, October 17, in historic downtown Los Angeles, at the California Endowment, California Safe Schools, the internationally celebrated children’s environmental health and environmental justice coalition, along with three hundred invited guests, celebrated “Your Life is Now,” an environmental health Summit and the 18th Anniversary of the organization. “The solution to the environmental challenges facing us can only be found if we actively engage as a community. It’s inspiring to see how many students, teachers, administrators and members of the public came out to participate in our program today. We are also enormously happy to celebrate such accomplished individuals whose efforts continue to make our world a much better place,” said Robina Suwol, executive director and founder of California Safe Schools. The presentation of the 2016 California Safe Schools Humanitarian and Environmental Health & Justice awards to individuals who exemplify the vision and mission of the organization was a highlight of the event. Gina Solomon, Deputy Secretary for Science & Health at the California Environmental Protection Agency received the 2016 Humanitarian Award for her decades of extensive scientific work related to children’s environmental health, cumulative impacts, and reproductive toxicity and for the health effects of climate change. Catherine Ryan Hyde author of “Pay it Forward” and more than thirty books and short stories received the 2016 Humanitarian Award for her compassionate writing, which promotes greater understanding of the human condition, and encourages acts of kindness without the expectation of anything in return. Cynthia Babich founder and executive Director of the Del Amo Action Committee, 2016 Environmental Health Champion Award for her strong moral compass, and more than two decades of protecting her community from environmental threats. John Fouch, Maintenance & Operations Manager at the Los Angeles Unified School District for 37 years, received the 2016 Environmental Health Award for successfully overseeing more than 1000 of the districts athletic fields, without the use of toxic pesticides or herbicides. Aaliyah Lopez, 7 years old, and a 2nd grade student from Granada Hills Charter Elementary received the 2016 Heath Award for her efforts to educate students and adults about the importance of protecting mother earth. In Aaliyah’s own words, “Without a healthy planet, there isn’t a healthy anything. Innovative and motivational presentations by prominent environmental health leaders included: Jane Williams of California Communities Against Toxics, Dr. Joe Lyou, Coalition for Clean Air, Dr. Cathie Ann Lippman, The Lippman Center for Optimal Health and Mary Cordero, of Mary Cordaro Inc., Healthy Home and Building Consultant, Angela Johnson Meszaros, Esq. of Earthjustice and Mary Zakrasek Ph.D., of Randall Communications. Carlos Reynosa master of flute and song, performed with his Native American, handcrafted instruments, capturing the attention of the audience with his musical offering of peace, hope, and healing. 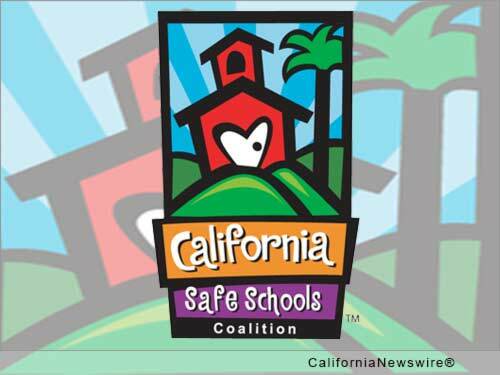 Over the last 18 years, California Safe Schools has helped to identify and eliminate toxic exposure in schools and neighborhoods, ensuring environmental justice for communities throughout California. Under Suwol’s leadership, the organization has facilitated changes at the policy and grassroots levels, creating lasting institutional protections that have made places of learning healthier and safer. The event concluded with a luncheon, followed by energetic discussions of multiple actions that can be taken to improve health and the environment. “Your Life is now” was sponsored by the California Environmental Protection Agency, South Coast Air Quality Management District, Edison International, California Endowment, Galpin Ford & KIND. For additional information, please visit www.calisafe.org.